Burnley manager Sean Dyche heaped the praise on his players despite being held to a 0-0 draw against Watford at Vicarage Road. After weathering an early storm, Burnley soon found their feet and began to dominate proceedings with Ashley Barnes failing to capitalise on three golden opportunities to give his side a first half lead. ​Burnley came out for the second half firing and continued to trouble the ​Watford defence, however the game soon filtered out with neither side being able to find a winning goal with the game finishing ​0-0. Speaking to ​Sky Sports after the game, Dyche praised his players for their performance despite not being able to find a winning goal given their dominance in the game. He said: "It was another very good performance. "A good clean sheet, we certainly made enough chances to win the game, they had a couple as well, but I thought the quality of our chances were really good. "They started well, but we grew into the game quickly and we started to get a real grip. The spine of our team was very good and we created enough quality chances today. "My only gripe is that when you create those chances you need to take one, but then you do need decisions to go your way. Tom's done well, but the team in front of him is doing very well also." There was a moment of controversy towards the end of the game as Chris Wood had a late goal disallowed for offside, and Dyche went on to admit that the decision cost his team all three points on the day. He added: "Unfortunately a decision goes against us again. "They are important moments and another two points would have been even more pleasing to take it to four wins on the trot. It's a tough one to accept today, because it was an important moment. "I thought it was onside at the time and looking at it, most people would consider it to be onside, but we've found it hard to get decisions. I think it's 65 games without a penalty and it's one of those unfortunate things and we just hope that over a season we get paid back." 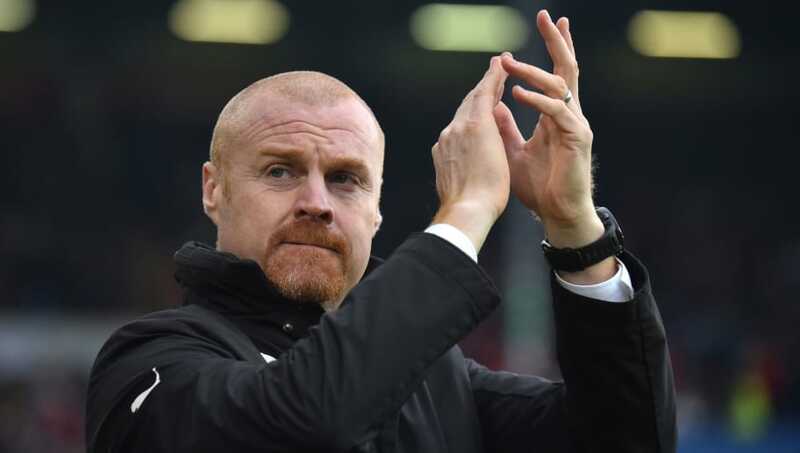 He'll be disappointed that his side didn't come away with all three points, however Dyche will be hoping his side can be more clinical when they travel to the Etihad Stadium on Saturday afternoon to face ​Manchester City in the FA Cup.